Charleston Fishing Charters or Sightseeing Tours Today! 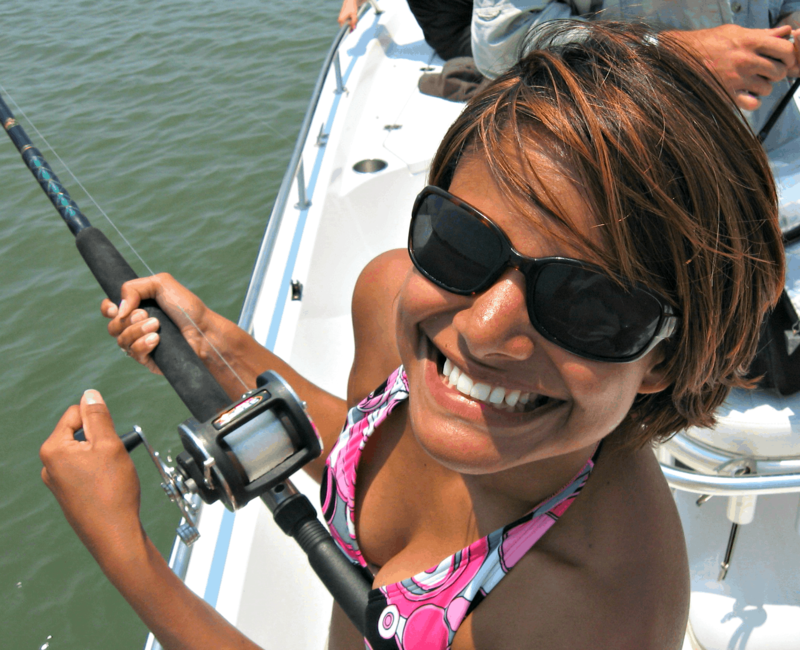 We have always focused our fishing expertise and time around inshore fishing or nearshore fishing. The Charleston area offers world class estuaries, bays, creeks and more that provide some of the best fishing in the Southeastern coast of the United States. Come out and catch the feeling of having a Spanish Mackerel, Redfish, or Sheepshead on the line! To better serve our customers, we have continuously added more boat tours to our list of sightseeing tours in Charleston. Our historical harbor cruises have always been popular because of the nice mix of history, nature, beautiful surroundings, and a slow pace makes this a trip for everyone. 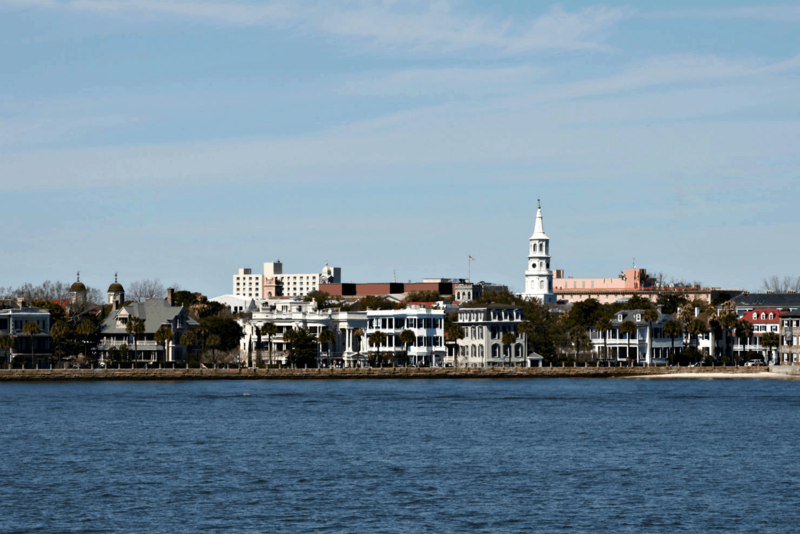 Whether you’d like to take a Charleston harbor cruise to get a feel for Charleston, or take a relaxing Sunset Cruise, we can accommodate you and your group. Always ask about our private or custom tours if you have something special in mind. 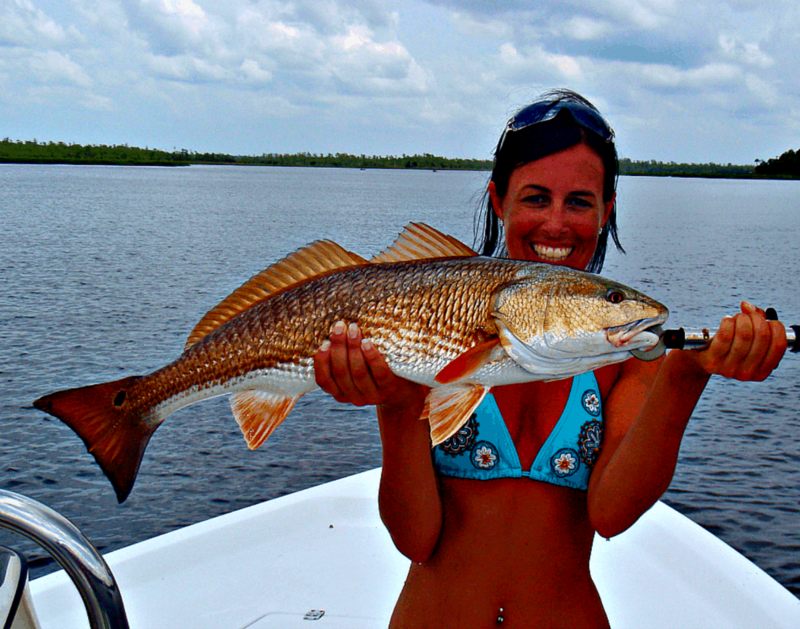 Welcome to Angler Management Inshore Fishing and Sightseeing Charters. I’m Capt. Ethan Frye, and I am here to ensure you a safe, fun, productive day on the water. I grew up in Charleston South Carolina and have been fishing and exploring the estuaries and bays in the area for over twenty-five years. I have traveled the world, fishing, diving, and sightseeing, and nothing satisfies me more than being out on the water in and around the Charleston area. I believe it is the great diversity of its water that keeps me here. 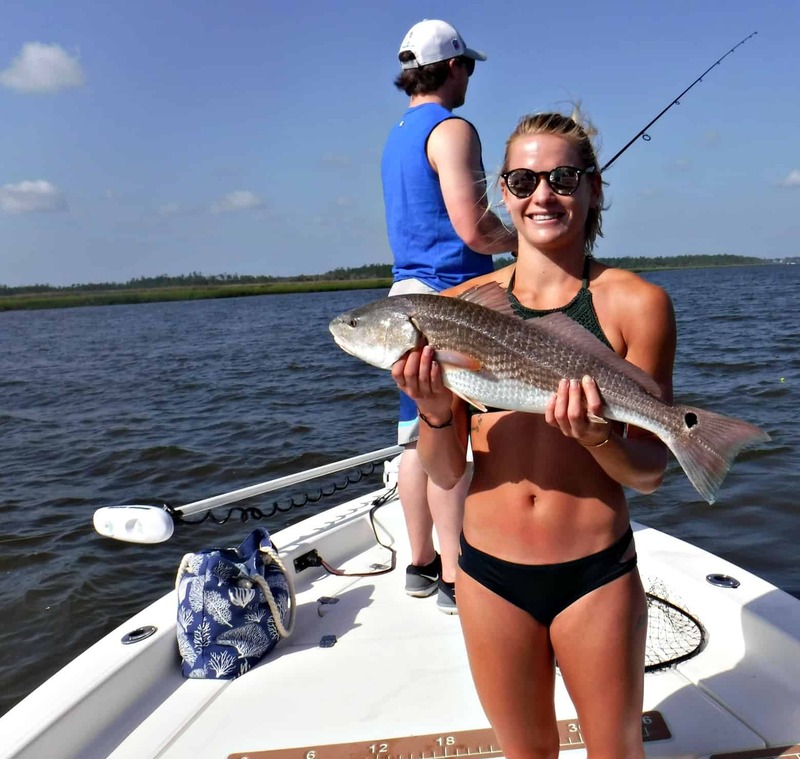 Fishing in the Atlantic Ocean is just minutes away from downtown Charleston, and from there you can be back on a small creek or flat fishing for any number of species in just minutes. 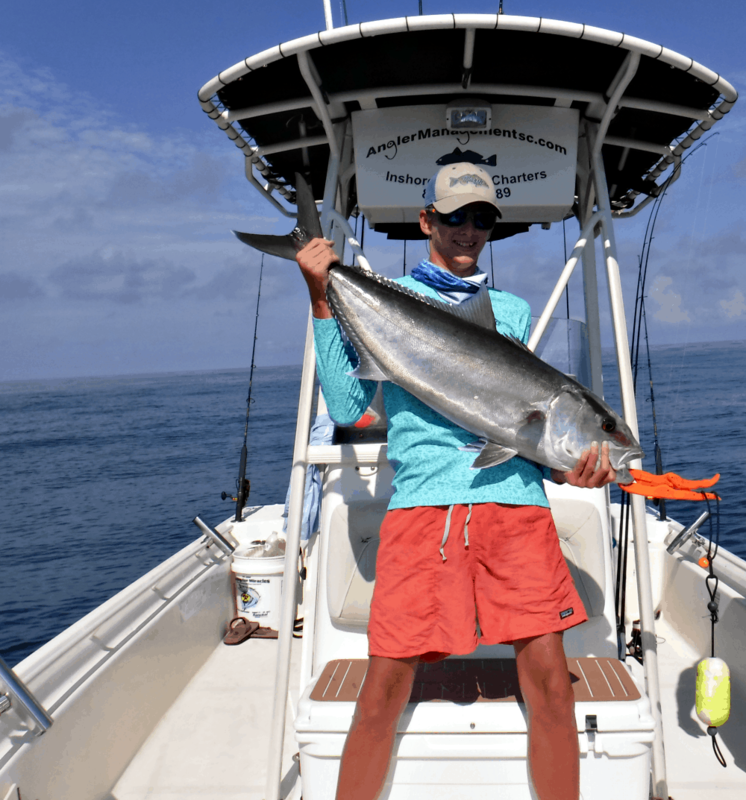 Year around world class fishing, pristine beaches, remote estuaries, and a historical background that rivals all others in the Southeast are just minutes away. I am a member of the Coastal Conservation Association, the South Carolina Saltwater Sportsmen Association, The Recreational Fishing Alliance, and the Stono River Fishing Club. I actively participate in the tag and release of the fish program, and can’t stress enough the importance of it here in Charleston. A Fishing Guide Early On? Growing up, I spent my weekends and summers camping with my family, on overnight trips out to the barrier islands, camping out on the beaches. I logged many, many hours fishing and exploring the coast of Charleston with my father. My aim is to make similar experiences available to families wishing to bring their children. I specialize in family charters for the novice to the most experienced fisherman. I offer one-half day and full day fishing charters, ecotours, sunset cruises, and historical harbor tours. All charters are private and can be customized to fit your schedule. Pick up and drop off locations are available all over the greater Charleston area, making it quicker and more convenient to the customer. I am Coast Guard certified, with a six-pack license, which means I can take up to six people out per charter, fishing four people comfortably. I am First Aid and CPR certified, and stress safety first above everything else. Whether it be a memorable fishing experience, a tour of historic Charleston Harbor, an ecotour, or just a lazy cruise to a secluded beach, come see what the Lowcountry of Charleston has to offer. Call 843-259-1489 email anglermanagementsc@gmail.com or click here for reservation form for booking.